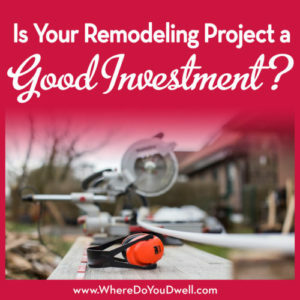 Is Your Remodeling Project a Good Investment? Remodeling or renovating your home, whether small or large, requires you to spend some money (or financing) upfront to get the job done. 1. Will it worth it when it comes to resale? 2. Will you get a high return on investment (ROI)? It’s a good idea to do your research first and carefully consider any home improvement project, especially if you’re banking on recouping some of the cost when you sell your home. Even though an updated bathroom or kitchen will make your home more appealing to you and any potential buyers, you might not see that value in your resale price. That’s especially true if you stick with high-end designs and more upscale features. Remodeling magazine’s Cost vs. Value Report for 2018 found that more “upscale” projects on average took the biggest hit across the nation when it comes to return on investment, with backyard patio jobs getting the lowest ROI. The report covers the average cost of 21 remodeling projects and their average resale value one year later. Mid-range projects tended to do better than upscale ones. In DC, for example, an upscale bathroom addition had a 56.1% ROI, where a mid-range addition had 63.9%. However, a mid-range remodeling rather than an addition was even better at 71.9%. Whereas window replacement generated a decent ROI, with wood ones at 68.8% and vinyl at 75.3%. Sounds like a good investment! 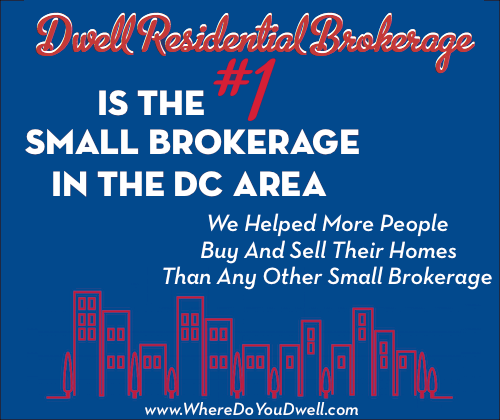 At the other end, one of the lowest ROI in DC was an upscale master suite addition at 51.2%. A mid-range addition came in a bit higher at 61.2%. Most buyers want a master suite but they just might not want to see that entire cost reflected in the sales price! Before starting a project, consider your goals along with your budget. You and your family want to enjoy your renovation and that may be your primary goal despite the cost. Who doesn’t want a sparkling new kitchen or spacious master bathroom to use every day, well before you even think about selling your home. However, you never want to be the best home on the street and price yourself out of your neighborhood. Always keep that in mind or you may face a loss when it does come time to sell. Cost vs. Value Report To get the DC report, click on South Atlantic and then Washington, District of Columbia.